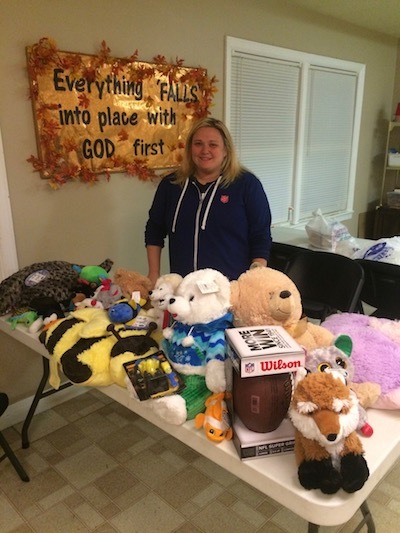 Captain Birks is pictured with some of the donated items. During their recent meeting in Gatlinburg, Tennessee, members of the K-T District Board took time out from business to provide service. the items donated will be used to help children and families through their Angel Tree.